Deep Rug & Carpet Cleaning Company Castlefield M3 | Quality Property Care Ltd. 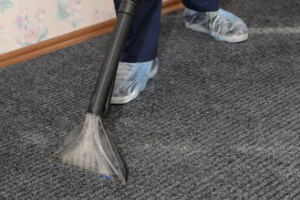 Using a professional rug and carpet cleaning company, and using its services frequently is a very good idea, especially if you or somebody in your household suffers from dust or pollen allergies or has breathing problems. The quantities of dust mites, dirt, dust and germs in our rugs are actually quite alarming, so don’t hesitate to hire Quality Property Care Ltd., which provides a prime quality rug and carpet cleaning service in Castlefield M3 and the area. The rug and carpet cleaning company can also offer: blinds cleaning, curtain cleaning, drapery cleaning, as well as bed bug mattress treatment and mattress cleaning , which will help remove the dust mites, allergens and kill off all bacterias. 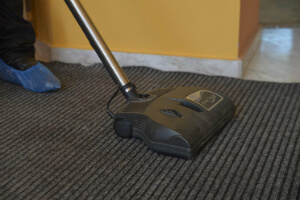 The business offers residential and commercial carpet and rug cleaning at a competitive price tag. For more delicate materials like cotton and silk we use a more gentle approach which does not depend on heat or moisture to remove a stain. Natural materials hardly ever react well to both heat and moisture so we are using a special dry compound which comes in a granulated form. The same process of stain and carpet or rug prepping does apply as was explained in the hot water extraction procedure, allowing us to better remove the spot. This time we pre-treat the spot with a specific detergent, specially selected for the type of fiber we are cleaning. It’s applied and let to set into the stain. Once that is done we use the granulated detergent and spread it using a fine brush. This imbeds it into the fabric of the material forcing it into the stain. The dry compound is also let to set for 10 mins after which we extract it using a high powered vacuum machine, eliminating 100% of the filth and detergent. There is no trace left, leaving both your carpet and natural rugs fully spotless and cleaned. Don’t lose hope even if your favourite rug has suffered from what seems like a irreversible stain. The cleaners can successfully work with a huge array of common and not-so-common stains, including: oily stains, wine, paint,, blood, vomit, rust, tea, coffee, moth damage and many more. Meet Quality Property Care Ltd. - the best professional rug cleaning company with TEN years of experience in the industry and with various treatments for rug spot and stain removal. Our reliable carpet cleaning company in Castlefield M3 has followed the general standards in carpet and rug hygiene maintenance. However, in addition to these, we usually tend to advance and progress. Get in touch with us to make a reservation for our carpet cleaning service in Castlefield M3 now! There are a lot of different rug and carpet types out there and we’ve made sure to be able to clean them all properly. Our specialists use a different method for all different types, which lets us to properly and safely clean both natural and synthetic fibers. We can clean linen, wool, cotton, synthetic,, organic fiber, viscose, silk, chenille, plush, suede, leather, acrylic, leather, nubuck. With years we’ve been able to improve our stain removal techniques to a science allowing us to remove not only paint, tea, oily stains, rust, blood, coffee, vomit, wine and moth damage, but also cope with synthetic and organic and synthetic stains. To reserve our professional cleaning service call 0161 823 0325. Our dedicated team of customer care agents is available, helping you with the booking or answering any questions you may have. We are available during weekends and bank holidays free of additional charge, with flexible booking and same day availability. Be sure to follow our website and check back regularly as we often have deals and offers which can save you up to 35% on your next offer. Don’t miss the opportunity to have the best rug & carpet cleaning in Castlefield M3 at the finest prices in the Greater London region.